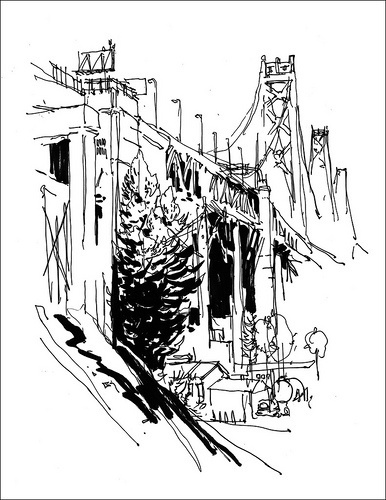 Marc Taro Holmes has written and illustrated an instructional book called The Urban Sketcher: Techniques for Seeing and Drawing on Location . The book builds on Holmes' experience drawing and painting in ink and watercolor. 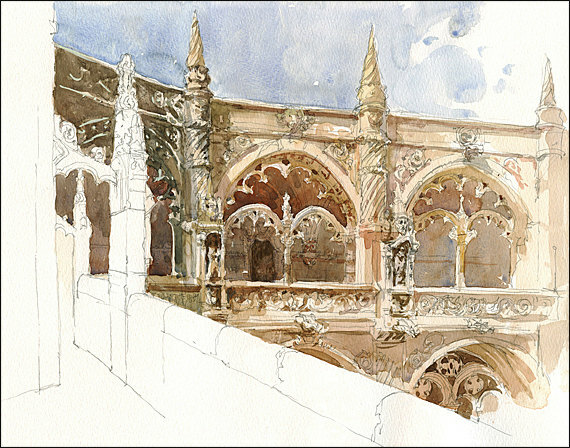 His sketching travels have taken him all around the world, most recently to an international gathering in Paraty, Brazil. Marc is based in Montreal. He writes the Citizen Sketcher blog and contributes to the popular group blog Urban Sketchers. 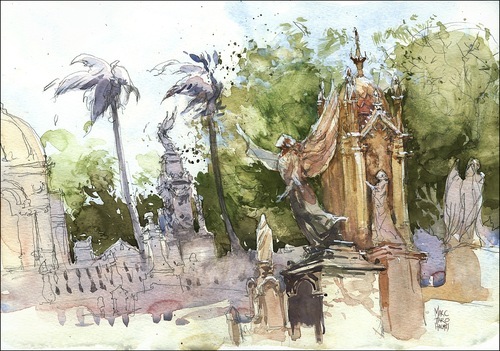 Marc Taro Holmes, Havana Necropolis, 10 x 14 inches. 3.Our drawings are a record of time and place. The new book offers practical approaches to manifesting those principles. The text addresses the reader in an informal, encouraging tone designed to inspire everyone from beginners to advanced sketchers. 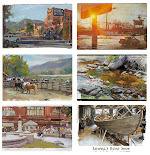 Each chapter shows a series of step-by-step demos, beginning with simple motifs like statues, cafe still life scenes, or museum objects, and ending with more challenging problems, such as complicated street scenes with moving figures. In the first part of the book, Marc demonstrates pencil and pen techniques, allowing the line to move freely in and out of the form in a relaxed handling. In some exercises he emphasizes line alone, and in others, he encourages the reader to spot areas of blacks, or define shadow shapes. 1. Overall light wash, called the "tea" wash, covering the whole surface with a varying color that's more or less the local color of the object. 2. Next pass with more pigment, called the "milk" wash, defining forms and shadow shapes. 3. Final pass with thicker or stickier pigment, called the "honey" pass, adding accents and smaller details and adjusting edges. 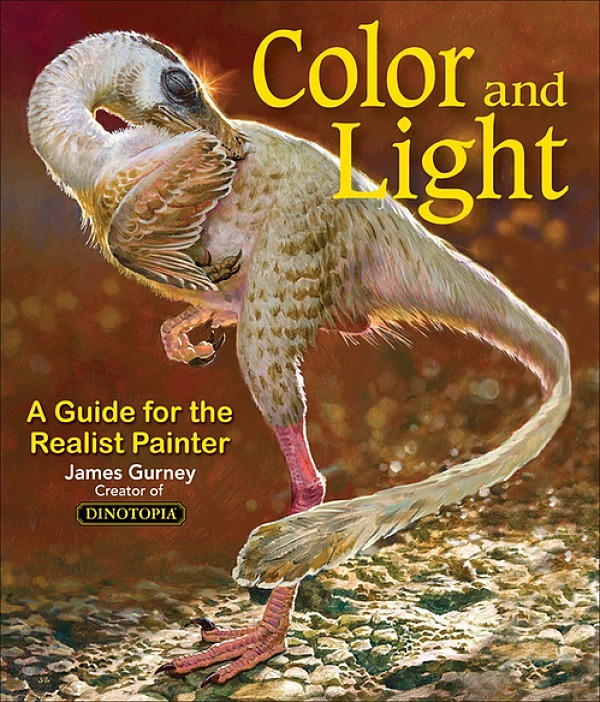 The book ends with a gallery of about a dozen full color paintings, some reproduced large across a double page spread, so it feels like looking through pages of a sketchbook. Details: Publisher / North Light Books. Softcover, 144 pages, 8.5 x 11 inches, retail $26.99. Thanks for the review. I've been looking at it and wondering if it would be helpful. --LaRinda C.
Cool! I may look into this. I've always loved drawing whatever I find around me! Marc is a personal friend of mine and in spite of that, has developed great artistic abilities. Thanks, James, for this review and giving Marc the credit he has earned. He works hard at his craft and is a selfless teacher to all. 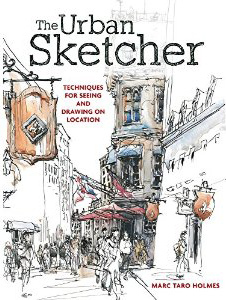 I recommend his book and for folks to look into joining their nearest Urban Sketcher's group. If you don't have one in your town...well, then, start one!